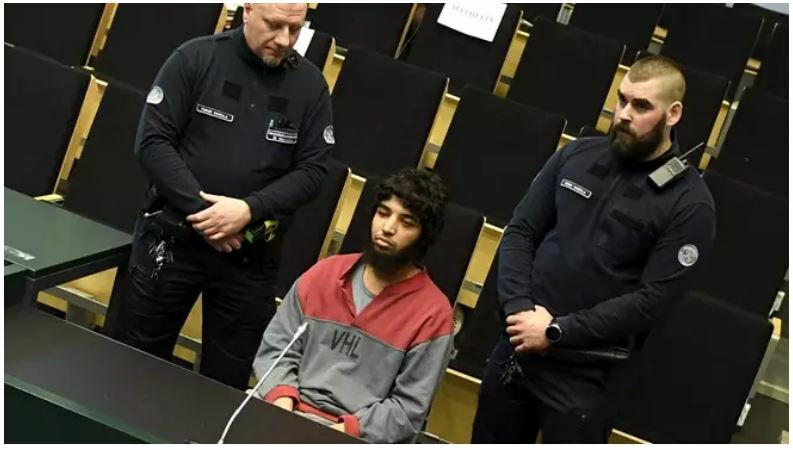 Finland: Turku jihadi terrorist who stabbed to death two women drops appeal, will serve out ‘life sentence’…….. – The Tundra Tabloids……. Finland: Turku jihadi terrorist who stabbed to death two women drops appeal, will serve out ‘life sentence’…….. The man convicted of carrying out a deadly terror attack in 2017 has dropped his right to appeal the life sentence he received last summer. Abderrahman Bouanane, the Moroccan sentenced to life in prison for Finland’s first legally-defined terror attack, withdrew his appeal at Southwest Finland District Court on Monday. In June of last year, Bouanane was found guilty of two counts of murder with terrorist intent and eight counts of attempted murder with terrorist intent after carrying out a knife attack in August 2017. He received a life sentence for the crimes which he will continue to serve, now that he waived his right to appeal. In Finland, life sentences typically last between 12 and 15 years. Bouanane’s defence team had already submitted an appeal for the sentence which the court began processing about two weeks ago. His lawyer, Kaarle Gummerus, said he withdrew the appeal because his client didn’t want to deal with the matter any longer. He said the appeal was originally based on Bouanane’s disagreement with the court’s finding that he carried out the knife attack with terrorist intent. The court ruled that, because he had become radicalised, part of the intent of the attack was to cause widespread terror. Bouanane did not wish to make a statement to the media on Monday. Previous Post Previous Post Finland’s YLE lets Sharia supremacist lecture Finns on Western meat production, “Biggest Crime in Human history”, two days after Holocaust memorial……. Next Post Next Post Finland: Iraqi man gets 5.5 year sentence for honor murder attempt against ex-wife in vocational school…….